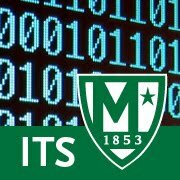 All affected services EXCEPT lms.manhattan.edu (Moodle) have been restored as of approximately 11:00PM and are now running at optimal speed/performance. Additional steps are being taken with the Moodle system to ensure optimal performance and reliability which will require the system to be offline for a short while longer. ITS has identified a root cause of the outage and is applying updates to resolve the issue. Currently, systems are back ONLINE and operational but operating slower. We will provide an update once more information is available.